Her first violin was tiny, harsh, factory-made; her first piece was “Twinkle Twinkle, Little Star.” But from the very beginning, Min Kym knew that music was the element in which she could swim and dive and soar. At seven years old, she was a prodigy, the youngest ever student at the famed Purcell School. At eleven, she won her first international prize; at eighteen, violinist great Ruggiero Ricci called her “the most talented violinist I’ve ever taught.” And at twenty-one, she found “the one,” the violin she would play as a soloist: a rare 1696 Stradivarius. Her career took off. She recorded the Brahms concerto and a world tour was planned. Then, in a London cafe, her violin was stolen. She felt as though she had lost her soulmate, and with it her sense of who she was. Overnight she became unable to play or function, stunned into silence. Gone is a really interesting memoir about musical talent and identity. Kym is a violinist who is one of the true child prodigies, who conquers the the toughest pieces in the violin literature at an impossibly young age, and whose 1696 Stradivarius violin was stolen at the height of her career. Her memoir looks at not just her career, but the toll it took on her, how much her career and training pushed against her Korean upbringing, and how she succumbed to a bad relationship that may later have led to some really bad decisions. The writing style is very interesting. It isn’t very polished but winds around, almost stream of consciousness at times. She really tries to get at the heart of performing at such a high level so young. Kym also pushes into the period of depression and mourning she went through after her violin was stolen. A violinist’s relationship to the violin as instrument becomes very personal, almost like a child or a partner, which is a much different relationship that one I am familiar with as a pianist. As a pianist, you can’t tote your instrument around and get to make-do with what you find at your venue (if you’re super-famous/fancy/loaded, you can rent the piano of your choice as you tour). 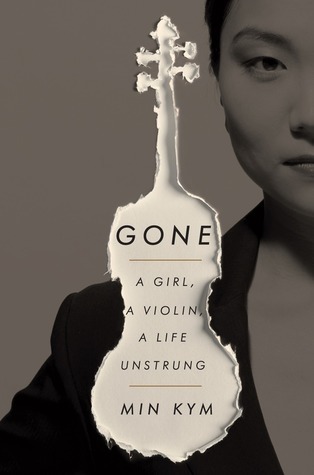 You may start reading Gone to see whether Kym gets her violin back, but you’ll stay for her journey. Edited to add: Kym is releasing an album of violin music played on her Strad on July 18, 2017. Dear FTC: I received a digital galley from the publisher via Edelweiss. 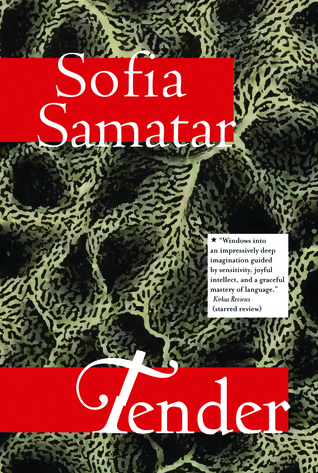 I haven’t read Sofia Samatar’s novel (yet – I’m not dead, yet) so I jumped at the chance to read this collection. There are a lot of good stories in Tender, particularly ones where the world of the story seems “normal” then one small twist reveals that it is actually dystopic (ex. “Selkie Stories Are for Lovers”, “Honey Bear” and “How to Get Back to the Forest”). These stories cluster in the front half of the book (Tender Bodies) and it made the collection feel unbalanced to me. For this reason it didn’t gel as a collection for me, but the actual writing of the stories is superb. This ought to be fun . . .
I’ve been enjoying Leonora Bell’s romances and Blame It On the Duke is a very nice third entry in the Disgraceful Dukes series. This installment has a delicious twist on the old “gambled the wife/mistress/sister/daughter away” trope: Hatherly’s mad father (the titular Duke) gambles him away to a flush-in-the-pockets baronet with a daughter he wants to marry off in the most social-climbing matter possible. The daughter, Alice, is actually an accomplished translator (of Sanksrit) and while a Society husband would be a hindrance, the rakish Hatherly – who doesn’t want a wife or children hanging around to watch him go mad – is perfect for her plans (escape England and her mother). Of course, those pesky things like hearts and feelings get in the way. Bell does a much better job with this book in balancing her light elements (translation, bedroom scenes, one sweet house cat named Kali) with the dark (there’s quite a bit about the inhuman conditions of insane asylums of the period). And Bell now has three side characters she could choose from for the next book…. Retired from NASA, Helen had not trained for irrelevance. It is nobody’s fault that the best of her exists in space, but her daughter can’t help placing blame. The MarsNOW mission is Helen’s last chance to return to the only place she’s ever truly felt at home. For Yoshi, it’s an opportunity to prove himself worthy of the wife he has loved absolutely, if not quite rightly. Sergei is willing to spend seventeen months in a tin can if it means travelling to Mars. He will at least be tested past the point of exhaustion, and this is the example he will set for his sons. As the days turn into months the line between what is real and unreal becomes blurred, and the astronauts learn that the complications of inner space are no less fraught than those of outer space. The Wanderers gets at the desire behind all exploration: the longing for discovery and the great search to understand the human heart. So, before we begin, The Wanderers is not like The Martian. I know it’s being marketed that way – because NOVEL ABOUT SPACE AND ASTRONAUTS WHAT ELSE DO WE COMPARE IT TO – but The Martian is a much different book, very action-driven. The Wanderers is very character- and setting-oriented so it makes for a very different reading experience. So, onward. 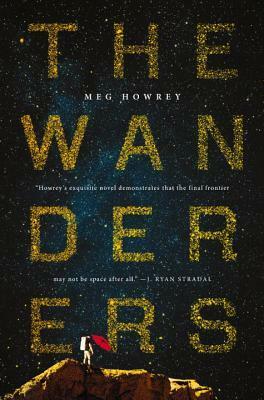 The Wanderers turned out to be a very enjoyable and thoughtful novel about space exploration that doesn’t actually explore space…or does it? It actually reminded me a lot of Carl Sagan’s Contact (the movie adaptation at least, since I’ve not actually read the book) with it’s range of time and philosophy about the nature of space exploration (and odd charismatic billionaires). I really liked the characterizations of the three astronauts Sergei, Helen, and Yoshi. They share the narration between themselves and with several family members and Prime employees. At the outset I wasn’t sure if I liked expanding the narration beyond the astronauts, but over the course of the book it turned out to be very interesting. It’s very easy to think that the story of space exploration lies solely with those who leave our atmosphere and forget those who remain behind. Dear FTC: I picked up an ARC of this book from a batch sent to my store by the publisher. 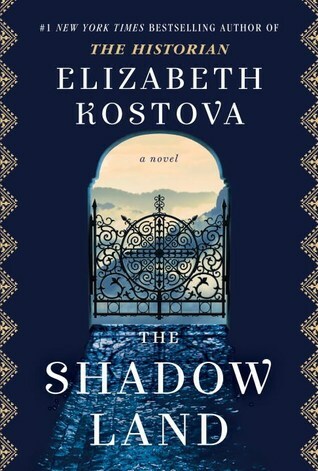 From the #1 bestselling author of The Historian comes an engrossing novel that spans the past and the present and unearths the dark secrets of Bulgaria, a beautiful and haunted country. Kostova’s new novel is a tale of immense scope that delves into the horrors of a century and traverses the culture and landscape of this mysterious country. Suspenseful and beautifully written, it explores the power of stories, the pull of the past, and the hope and meaning that can sometimes be found in the aftermath of loss. I loved Elizabeth Kostova’s The Historian when it came out. I mean loved. I have a signed first edition, first printing. But I was so disappointed in The Swan Thieves. 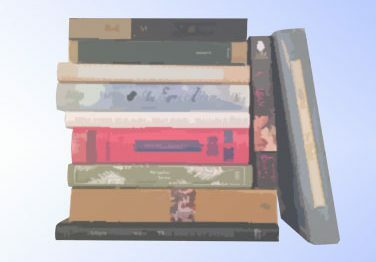 It was so blah I DNF’d it at fifty pages – I do not DNF books lightly. Most just hang around the house for years until I finally finish them. So I entered into reading The Shadow Land with bated breath. Being set in Bulgaria, I had high hopes. The second half of the novel, though, is comprised of a beautiful, gutting story about a gifted musician arrested in a Stalin-era purge in Bulgaria and who survives through sheer force of will. This portion of the novel is where Kostova’s talent as a writer lies. These layers, told by various elderly characters and a written account, blend very well and reveal the lingering effects of Communism. It was interesting to read this book after having read Elif Batuman’s The Idiot and how she depicted mid-1990s Hungary; the two authors came at it from different angles which made for good reading. I am glad that Kostova put out a new book – I want her to keep writing and exploring these ideas. The Shadow Land is out today, wherever books are sold. From the bestselling author of the National Book Award winner Let the Great World Spin comes a lesson in how to be a writer—and so much more than that. 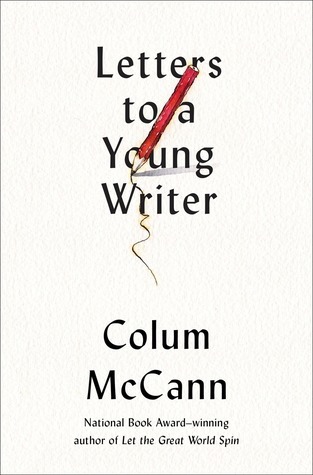 I’ve only recently discovered Colum McCann (let me tell you, Dancer is amazing). This little book contains life advice disguised as writing advice very much in the vein of Rilke’s Letters to a Young Poet. It gets a bit platitude-y at times, in my opinion, but the later chapters have a really wry voice. Also, dude can write a sentence about anything. That alone is worth reading. Dear FTC: I received a digital galley of this book from the publisher. 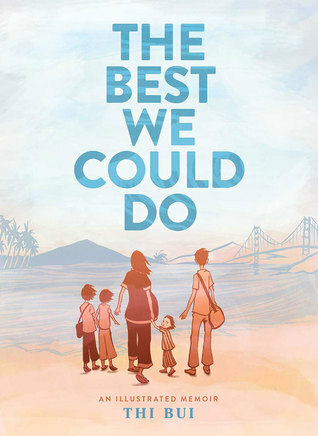 The Best We Could Do is one of the most beautiful and heartbreaking graphic memoirs I’ve ever read. Bui’s attempts to understand herself as a new parent by trying to understand how her parents grew up and existed before she came along will resonate with any reader – that it is all set during the turbulence of the Vietnam War makes it just gutting. The art is superb with sharp pen-and-ink drawings colored by soft pastel watercolor. A must-read and congrats to Bui for being selected for BN’s Discover program.